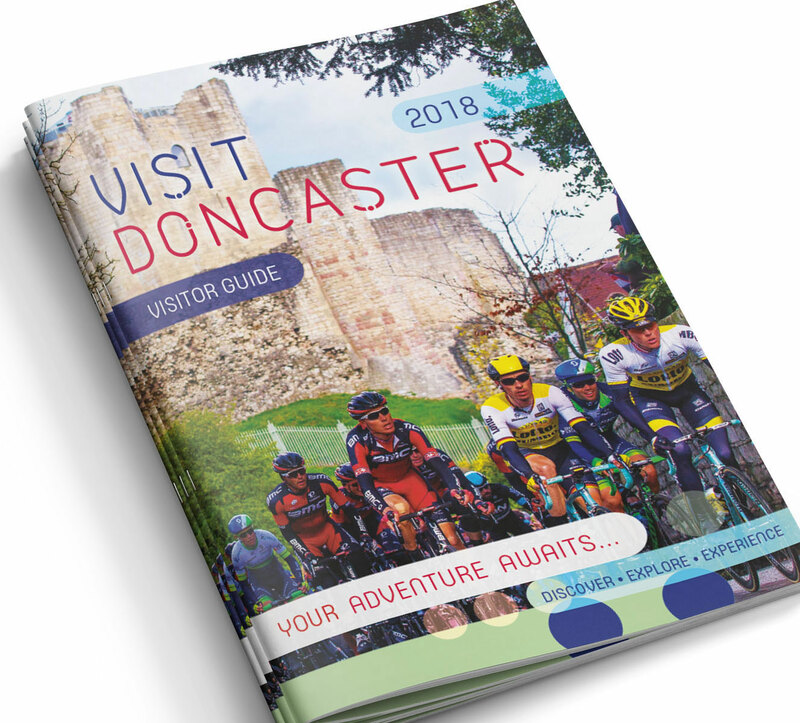 Keyhole Creative were commissioned by Visit Doncaster to design an A4 48pp, high quality, visually appealing print and digital brochure to be used for their 2018 marketing campaign to promote Doncaster as a great location to visit with a clear objective to generate an increase in admissions to attractions & overnight stays throughout the borough. An exceptional design that ‘screams’ excitement and energy from cover to cover in a vibrant, friendly yet competitive way to ensure the brochure rivals similar publications from locations throughout the UK. “The re-brand of the 2017 Visitor Guide for Doncaster was a huge shift from what had been previously produced.When it came to looking at the 2018 version we were unsure how we would equal its design success. We initially met with Suzanne and the team and shared our ideas and what our expectations were. It was clear from that point that the team were on board with our objective to deliver a high quality publication that really showed Doncaster off at its best. With Suzanne co-ordinating the activity and with regular meetings along the way we were delighted with the final result that was delivered exactly on time. A challenging task to produce a 44 page document with images, copy and adverts being supplied just ahead of Christmas.